This is an important story of the courage of two peoples, the Australian commandos and the people of Timor-Leste. The effects of this war are still felt in Timor-Leste today because most families were affected and suffered as a result of this conflict. The bonds of friendship forged at this time, which endure today and the shared history of struggle are as much a part of Timor-Leste’s cultural heritage as they are Australia’s. 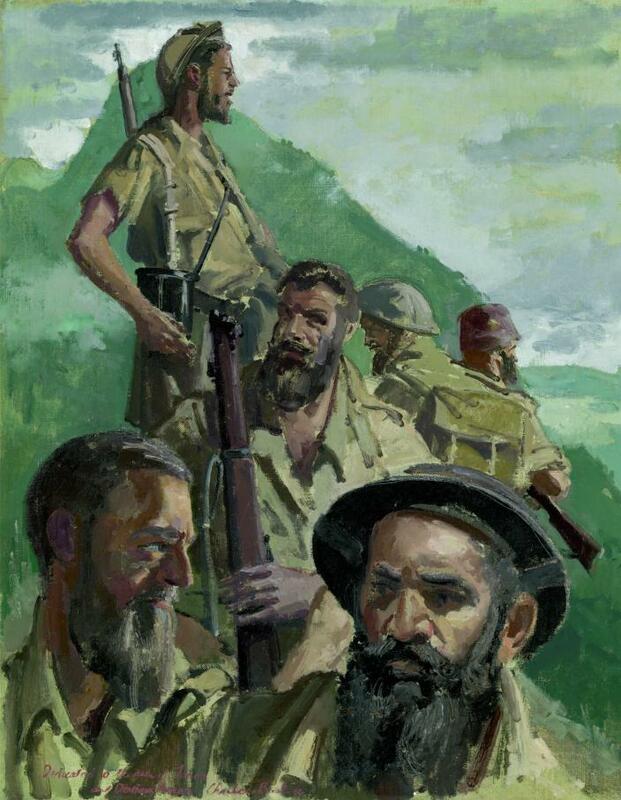 A painting by war artist Charles Bush of a 2/2nd Independent Company headquarters party in East Timor featuring Lt Gerry McKenzie with a sniper rifle (top), Capt Geoff (the Bull) Laidlaw (centre) Capt Bernard Callinan (left) and Sgt William (Bill) Tomasetti (right). 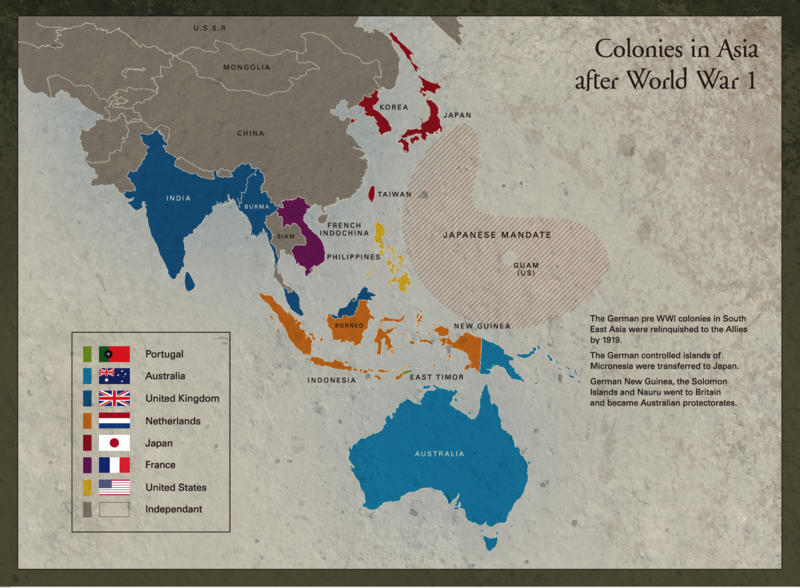 In early 1942 the Japanese swept aside colonial powers in their rapid advance through South East Asia. The 270 man Western Australian No 2 Independent Company, later renamed the 2/2nd Independent Company (2/2nd), was the only Allied unit to survive this advance and continue fighting. They killed over 1,000 Japanese soldiers for the loss of 30 Australian lives. However, as a consequence of the campaign and subsequent harsh Japanese occupation, over 40,000 East Timorese perished. This exhibition highlights the exceptional campaign by the 2/2nd. It acknowledges the enormous support and terrible suffering of the East Timorese. The exhibition also reveals the life-long endeavour by the 2/2nd to repay its debt of honour to the East Timorese for their support. Prior to the arrival of European colonisers, the mountainous island of Timor was made up of tribal kingdoms. People lived in villages, practicing subsistence agriculture and trading sandalwood with Java and China. In search of spices, the Portuguese occupied Timor in 1556 followed by the Dutch in 1603. For nearly 300 years the Portuguese and Dutch vied for control of the island. While the Dutch came to dominate much of the Indonesian archipelago, the eastern part of the island became Portuguese Timor. During this period coffee plantations and other cash crops were established as sandalwood supplies ran out. The colonial occupiers brutally suppressed numerous local rebellions with the last major revolt in 1912. Despite this, local cultural traditions remained strong in East Timor. Today Timor-Leste is made up of more than 20 different ethnicities. The majority of people are of Malay-Polynesian and Papuan origin. Communications Force intact and still fighting!